May you live in interesting times - the words of Professor Mohan Sawhney, when addressing the channel some 12 months ago. An English translation of a traditional Chinese curse - as the saying goes - the term interesting in fact means dangerous and turbulent, implying a period of disorder and conflict within the channel. Fast forward to 2018 and such a statement continues to be true, as a new pool of customers gain purchasing powers over new technologies, procuring solutions in new ways through new types of partners. It’s a recalibration of the channel, instigated by end-users from the bottom up, racing back up the supply chain to shake the industry to its core. Perhaps one could argue that the market has forever been in a state of flux, yet in 2018, there’s never been so many balls up in the air. Never has the channel had to contend with so many moving parts simultaneously, as digital redefines the role of buyers, providers, distributors and manufacturers of technology. “Today, every company is a software company,” observed Gerald Leo, director of small, mid-market and corporate customers at Microsoft Singapore. “Organisations need to start thinking and operating like a digital business in order to ensure relevancy in today’s digital-first economy. With the barrier of entry lowered due to the proliferation of cloud computing, such change has triggered transformation across the partner ecosystem as a result. In short, Leo said the playing field is now levelled, meaning that it’s “no surprise” to see more born-in-the cloud partners, as well as non-traditional players such as consultancies, developers, and even customers-turned-partners arise. 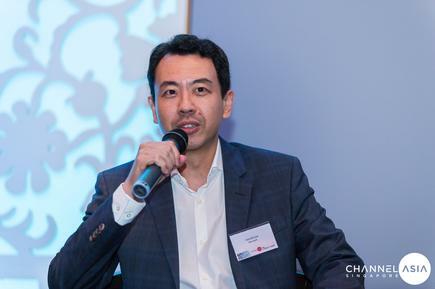 “The future channel will see partners becoming co-collaborators with customers to maximise opportunities enabled by cloud,” Leo added. “Today, Microsoft is assisting our partners by providing the essential blueprints and tools to develop, analyse, manage and secure apps hosted on our platform. The change comes as technology buyers step out from behind the CIO to purchase nimble, specialised and pluggable solutions, encouraging partner collaboration while testing time-honoured selling techniques. Specific to Amazon Web Services (AWS), the future channel will continue to be “customer-obsessed”, centring around the notion of end-user innovation. 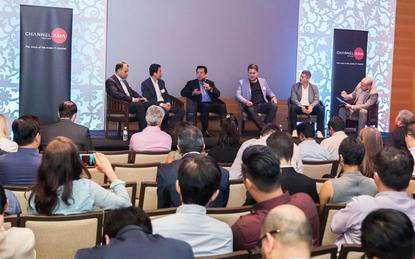 “A guiding principle for everyone working in and with AWS is to always keep the customer at the forefront of our thinking,” Amazon Web Services managing director of ASEAN, Nick Walton, said. “As the current channel evolves to include the provision of consulting and software services beyond traditional products, meeting customers’ needs will remain a priority. For many years, Walton said the vendor’s growing base of customers across Asia Pacific have chosen to build or migrate their businesses on AWS for multiple reasons. Specifically, a company’s decision to align with AWS has been due to the infrastructure build around regions and availability zones (AZs), which offers a more highly available, fault tolerant and scalable option. “Today, customers are no longer thinking about whether they should move to the cloud, but rather how quickly,” Walton added. “Customers are identifying the most appropriate path to take to retire technical debt and expand their revenue with the various digital services. “Partners are going to need to provide more critical assessment, migration consult and managed services options to effectively service customers, who now have increased awareness and expectations about the benefits of moving to the cloud. In assessing the changing ecosystem regionally, Google Cloud continues to turn channel aspirations into market reality. The vendor has outlined a framework in which cloud can be delivered through the channel, with partners front and centre of enterprise ambitions. Spanning ISVs; system integrators (SIs); born-in-the-cloud players; developers; consultancy firms; managed service providers (MSPs); global system integrators (GSIs) and telecommunications firms, the Google Cloud ecosystem is as varied as it is deep, housing a contrasting but complementary collection of partners. Today, a Google Cloud partner is specialised, collaborative, a developer of applications and a builder of code. But crucially, on occasions, cut from a different cloth. 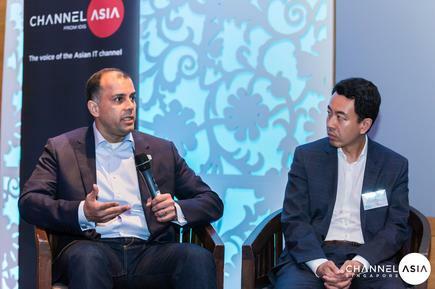 “We have recognised that we require a different type of partner to take us into the future than what we have had in the past,” Google Cloud head of cloud partners and alliances Asia Pacific and Japan, Ash Willis, said. “If you look at some of the channel partners we’re bringing on board into our ecosystem, that really helps demonstrate this approach. With career expertise spanning AWS, VMware, Hewlett Packard and Citrix, Willis has observed a changing partner ecosystem, an ecosystem that continues to evolve at a rapid rate. “Not long ago, GSIs were that ones that carried out the big deals, SI covered the medium deals and telcos had a role to play also,” he added. “But I think we’re starting to see that ecosystem change now. 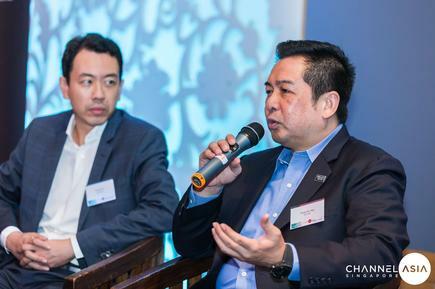 For Clarence Barboza - director of channel partner organisation at Cisco - there is a “definite evolution” of the partner ecosystem, with such an evolution set to continue as customer needs evolve. “As customers IT adoption and understanding becomes increasingly mature, they’ll begin turn to technology to help them achieve specific business outcomes,” Barboza explained. 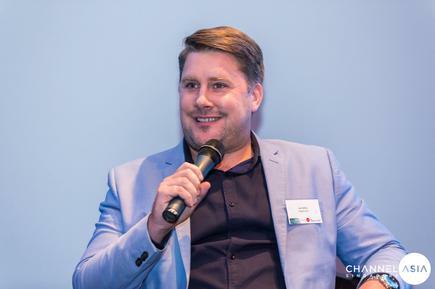 “For example, we had an Australian-based ISV join forces with a long standing reseller to utilise Cisco Meraki’s wi-fi access points paired with the ISV’s social sign-on and customer intelligence. When assessing the end-user landscape, Barboza has one simple observation - “the way customers are purchasing technology is evolving”. 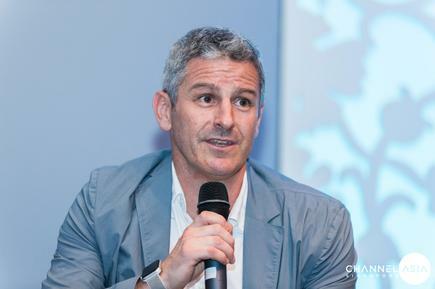 “It's no longer just about buying a specific product, but rather about the value that particular product adds to the business or how it meets a business objective,” he added. Meanwhile, market demands are forcing customers to transform or lose the ability to compete, according to Tiang Hin Ang, general manager of commercial channels South Asia at Dell EMC. “As the scale of complexity gets wider, the question is no longer about whether to transform, but what is the right transformation journey?” Ang asked. “Customers are turning to emerging technologies to accelerate this process, but there are big challenges along the way. For Ang, this will be partly defined by investments in emerging technologies such as artificial intelligence and machine learning, in addition to multi-cloud environments and software-defined solutions. “Due to the pace of change and complexity, collaboration between providers will have to become more common in the future partner ecosystem to deliver on solutions to meet customer’s complex needs,” Ang explained. Despite a strong majority of business leaders (80 per cent) in Asia Pacific and Japan - according to Dell EMC commissioned Realise 2030 research - expecting that humans and machines will work as integrated teams within five years, many (just over 60 per cent) are struggling to keep up with the pace of change. Two thirds are being held back by a poor digital vision and strategy, and struggling with a skills gap and a lack of employee buy-in - there is also little certainty over whether this change will free-up time or bring about more job satisfaction. “The ambiguity over what the future holds makes it hard for leaders to plan for it,” Ang said. “Partners are no longer looked upon to just sell products, but have to support in establishing what that vision for the future would be – the channel is moving towards more solutions-oriented selling and really helping customers transform their entire businesses.